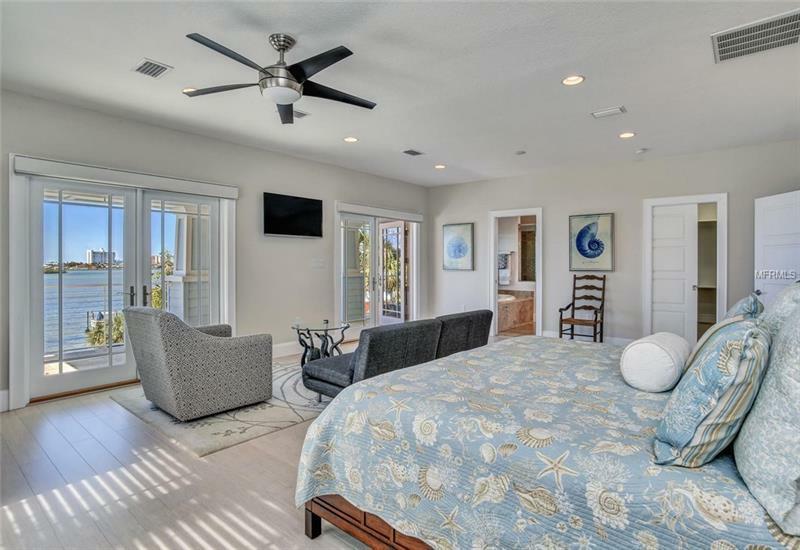 THE ULTIMATE IN COASTAL LUXURY AWAITS. 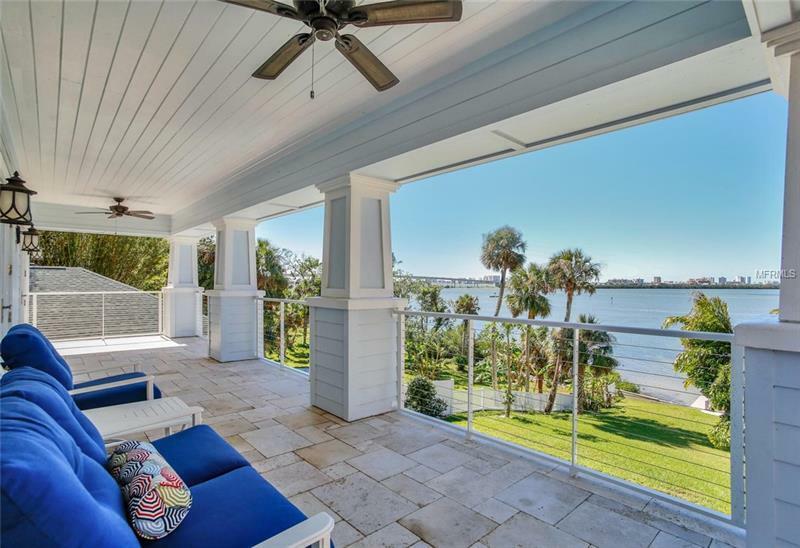 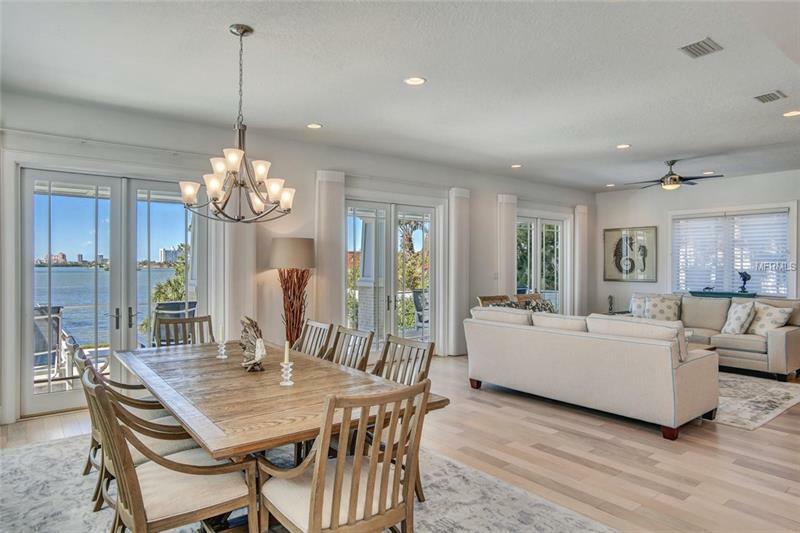 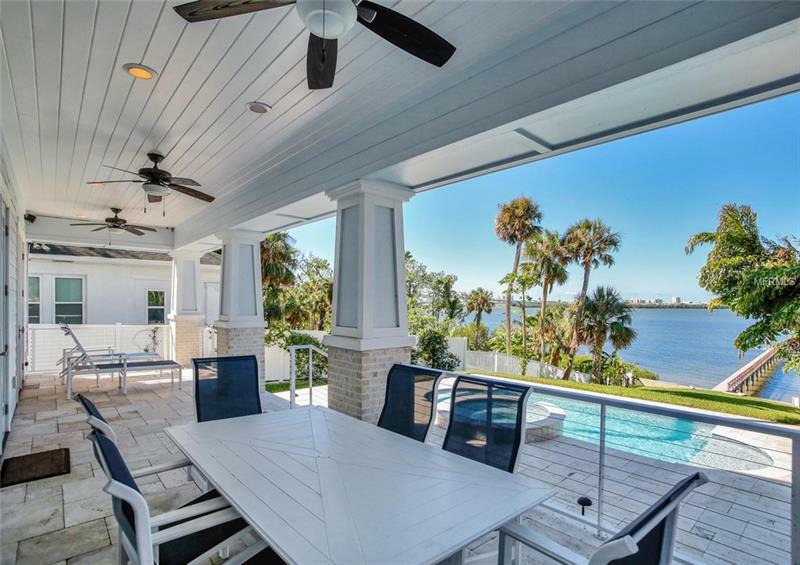 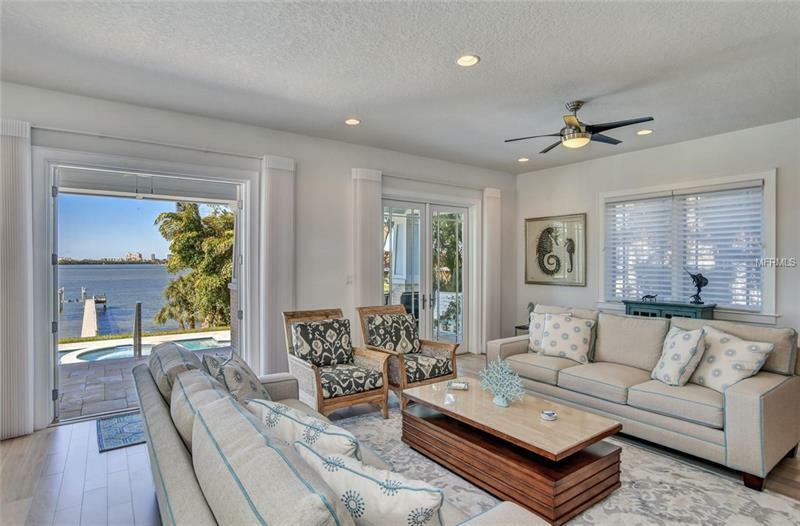 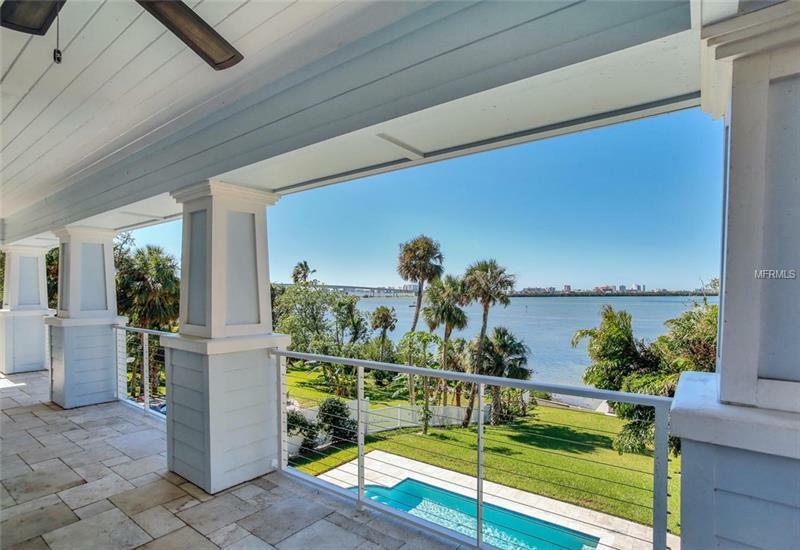 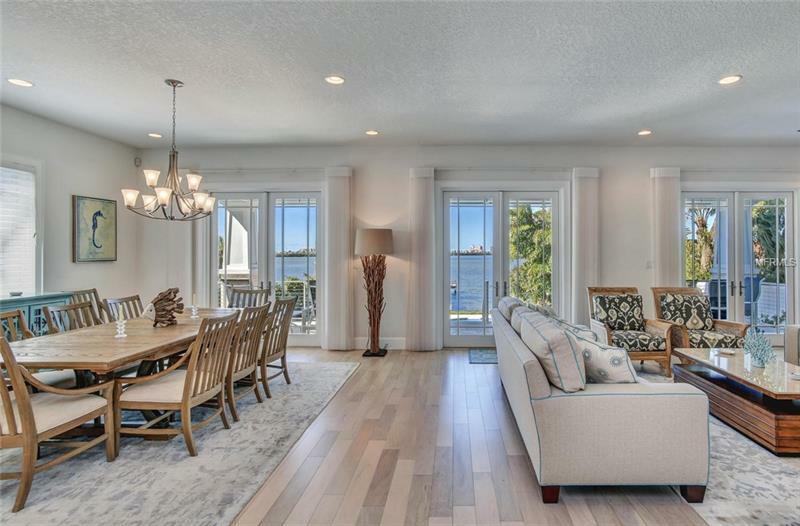 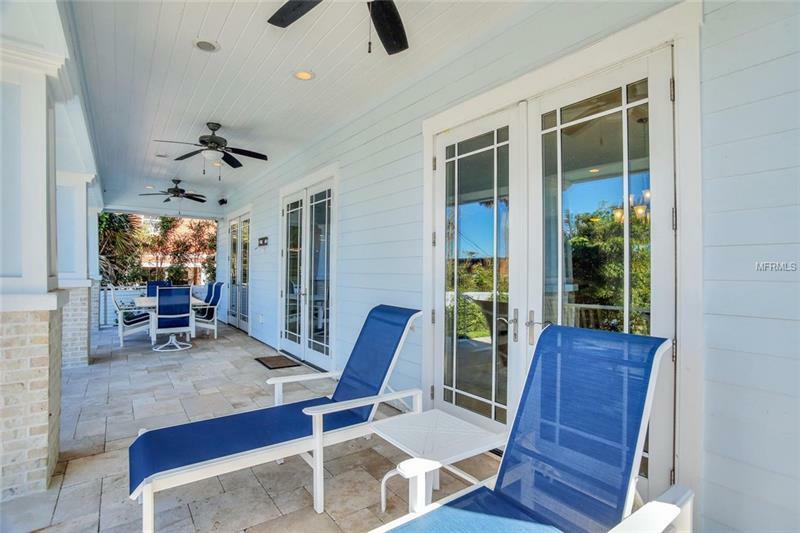 Custom built in 2014 this waterfront estate of 4090 sq ft is the perfect blend of craftsman architecture with modern coastal luxury design. 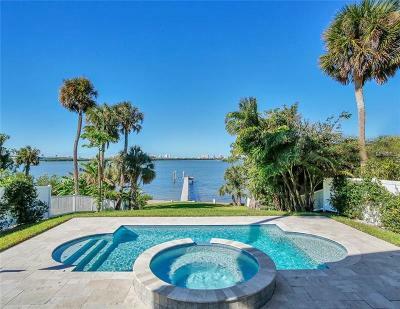 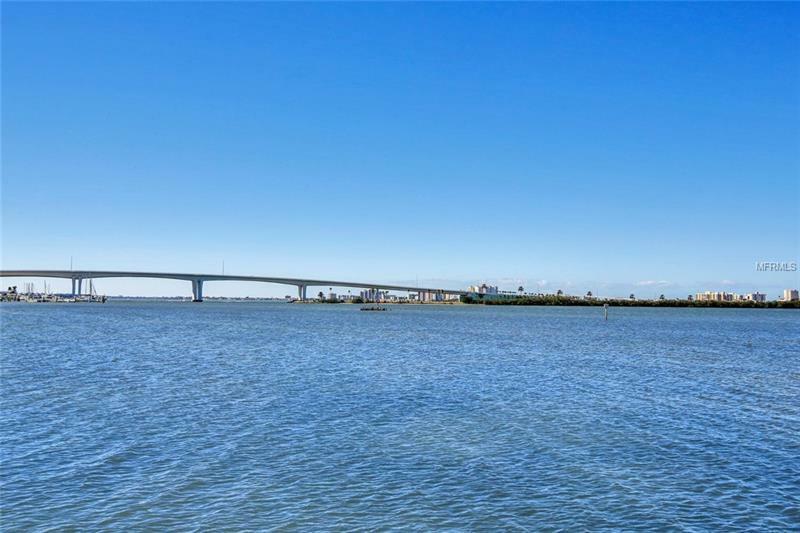 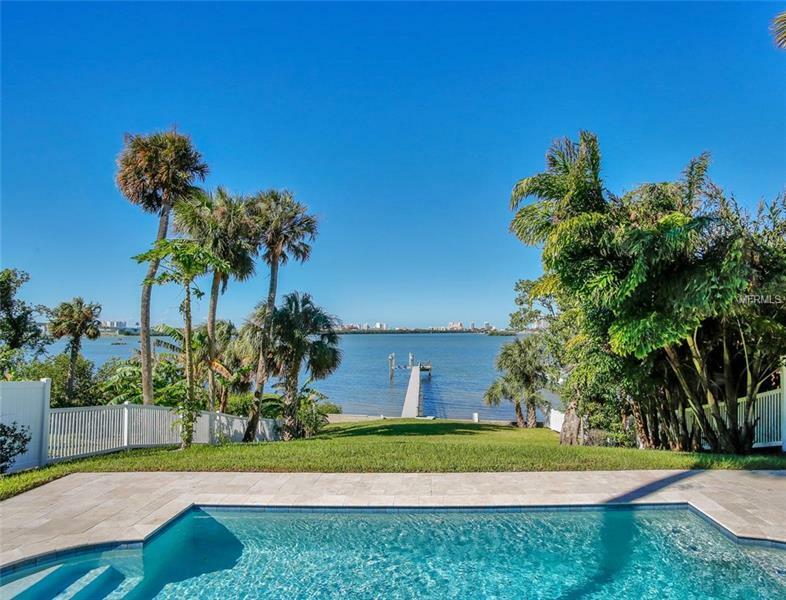 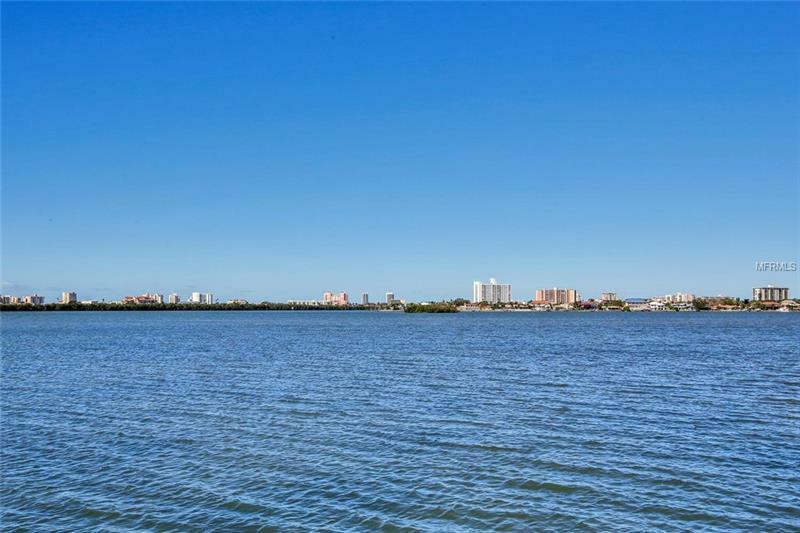 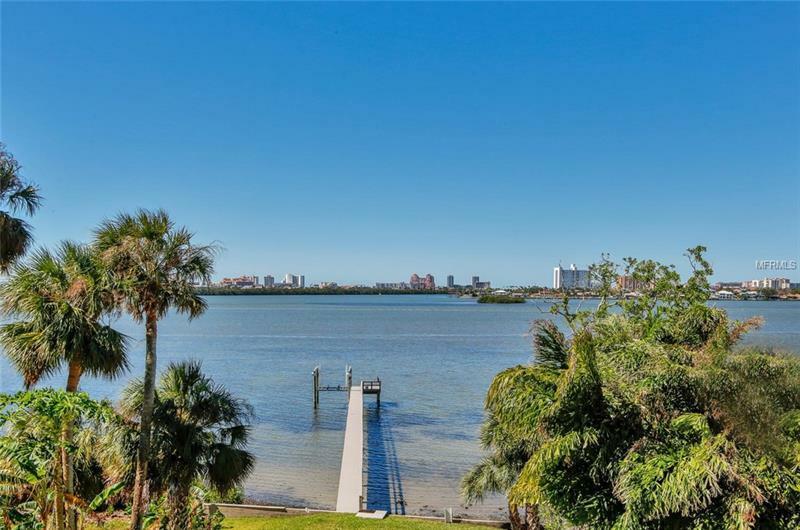 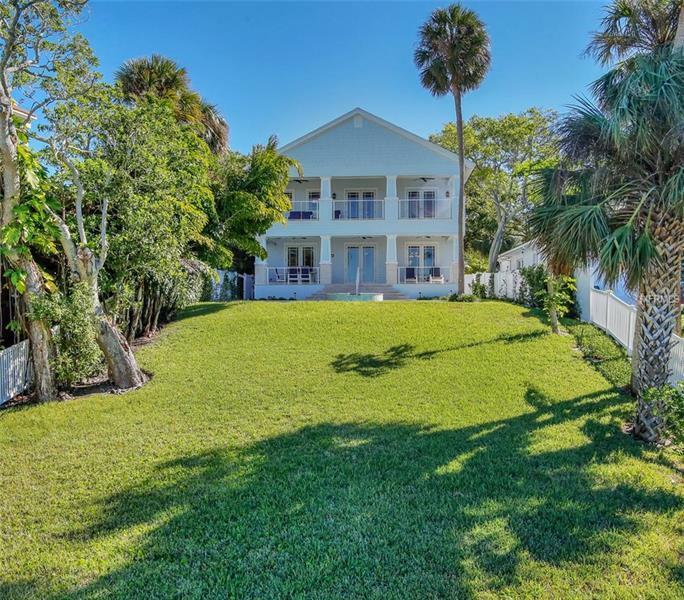 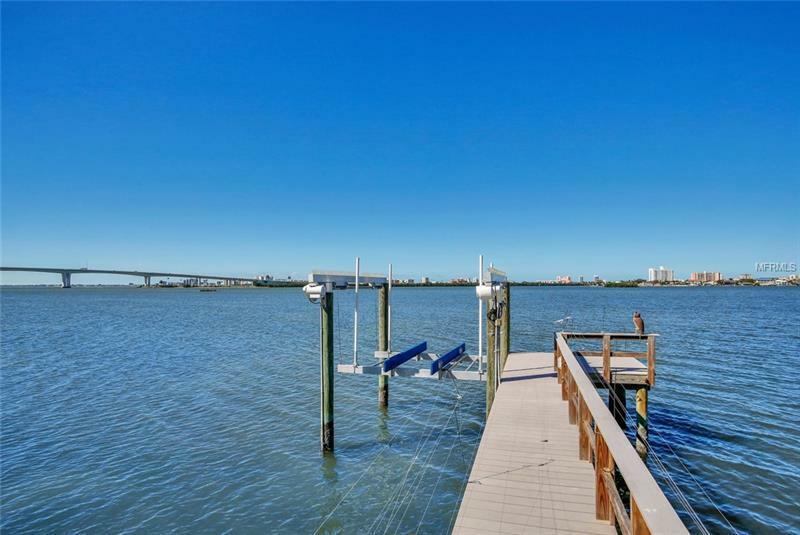 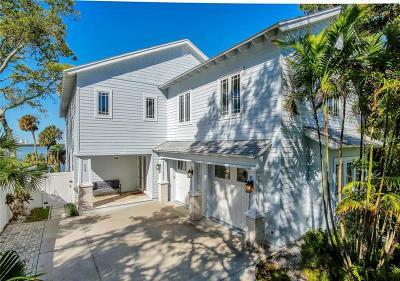 The 282â deep lot rises up from the Intracoastal Waterway to a bluff where the home is located providing amazing open water views throughout. 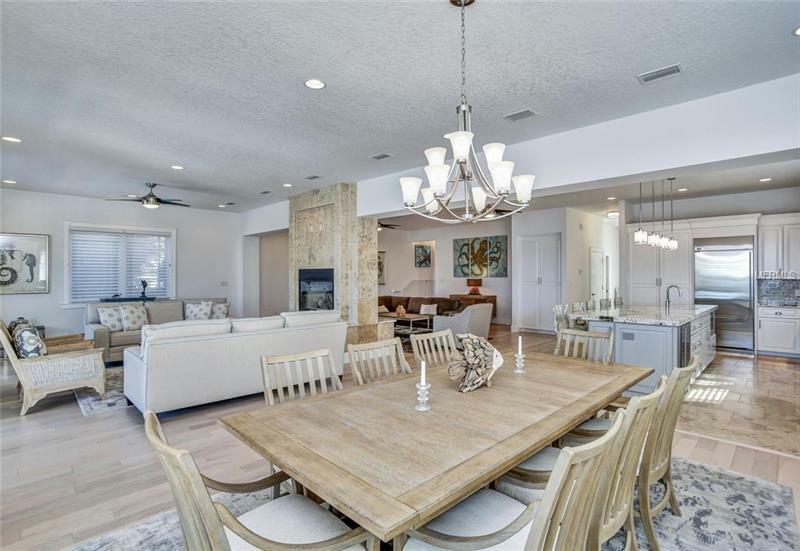 A luxurious great room provides the ultimate open living & entertaining space with a dining room living room family room & kitchen combination featuring travertine & hardwood floors double-sided gas fireplace & 3 sets of French doors opening to the covered lanai & open water views beyond. 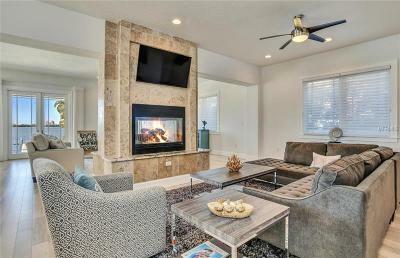 The family chef will enjoy the stainless appliances with 6 burner gas stove & wine refrigerator. 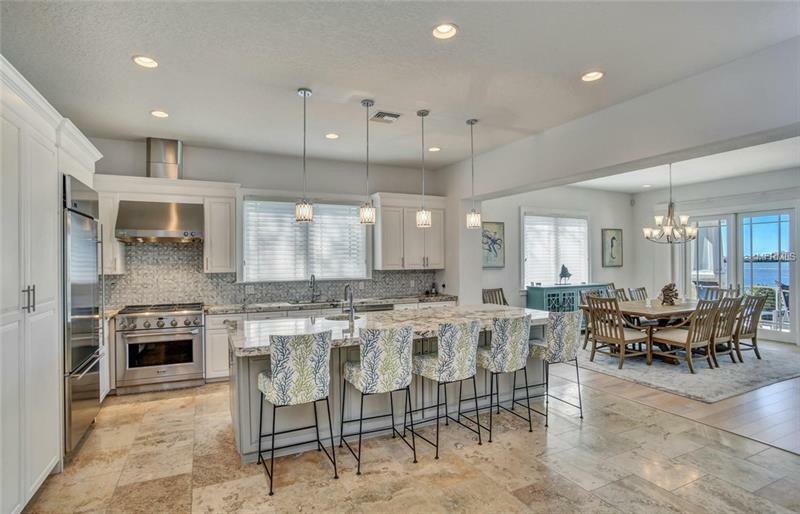 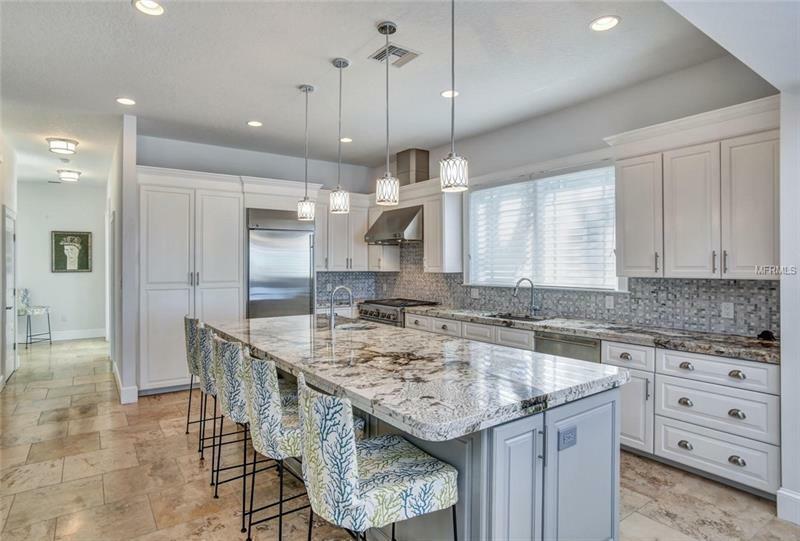 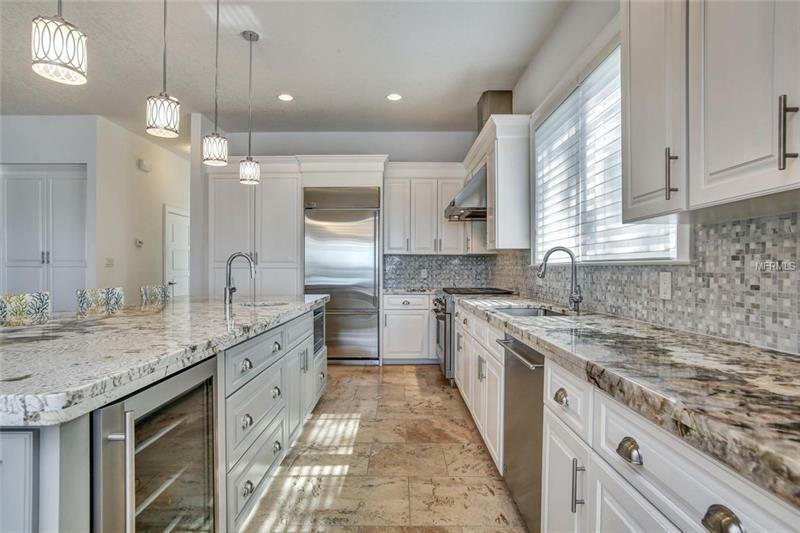 A prep sink sits in the expansive kitchen island with gorgeous granite & seating for 5+. 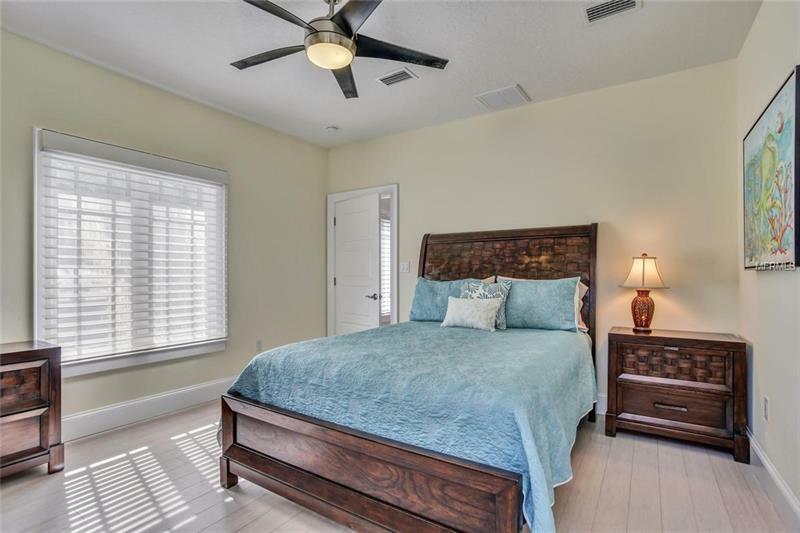 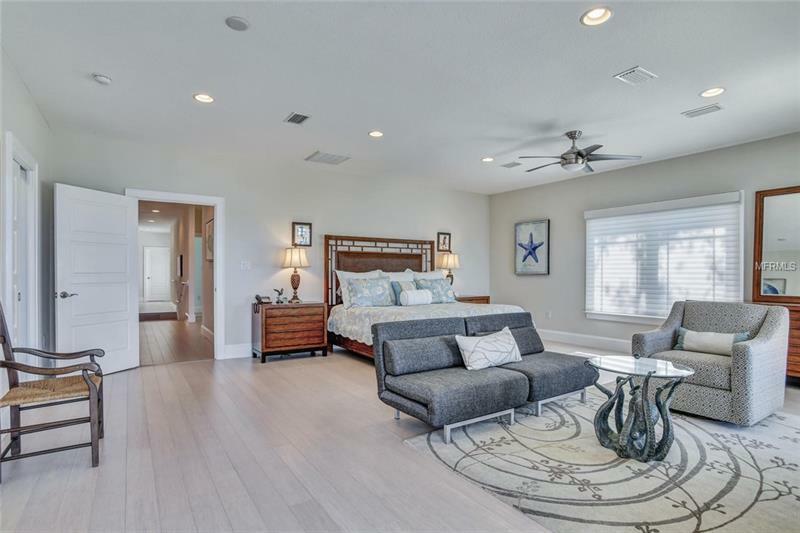 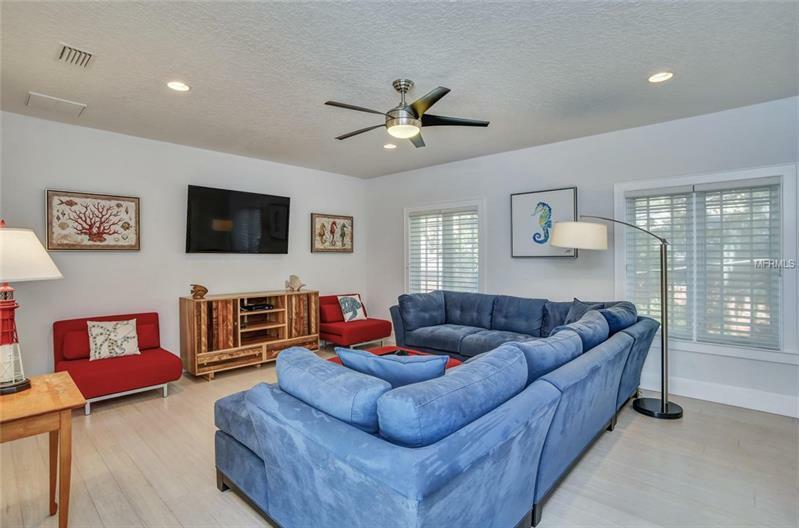 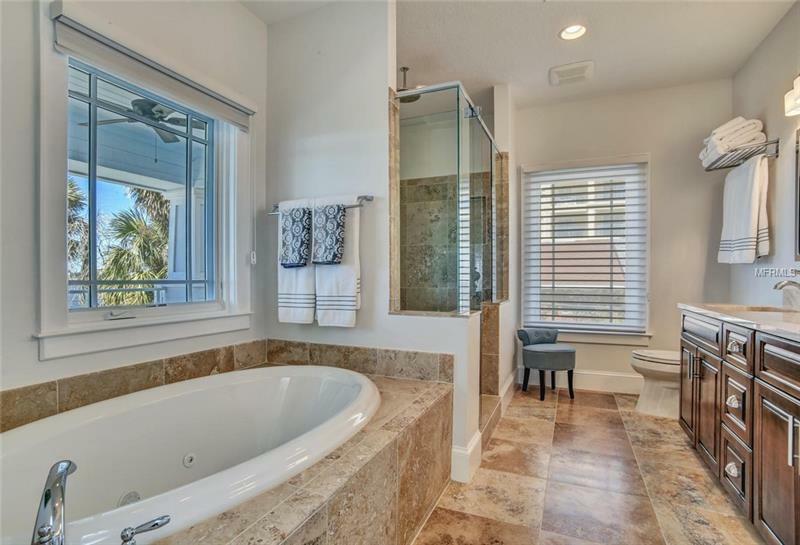 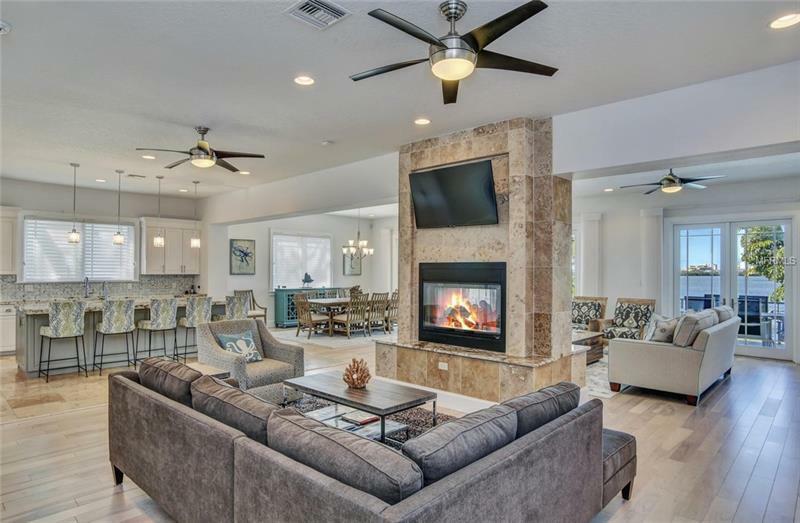 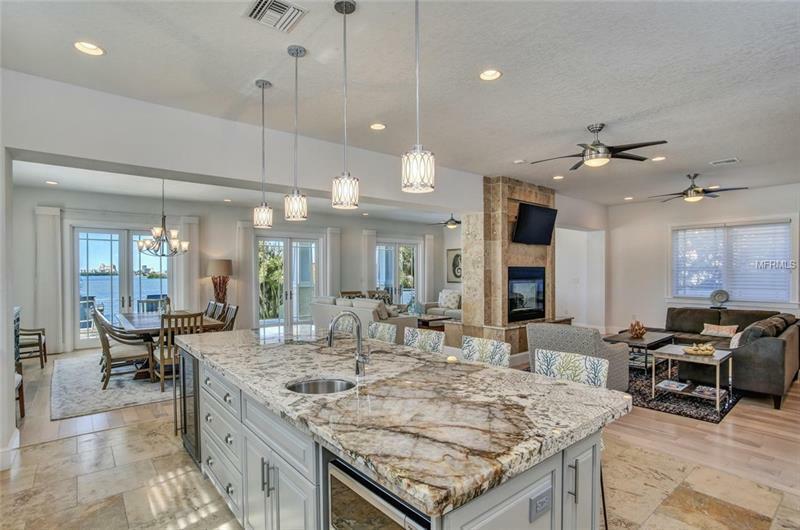 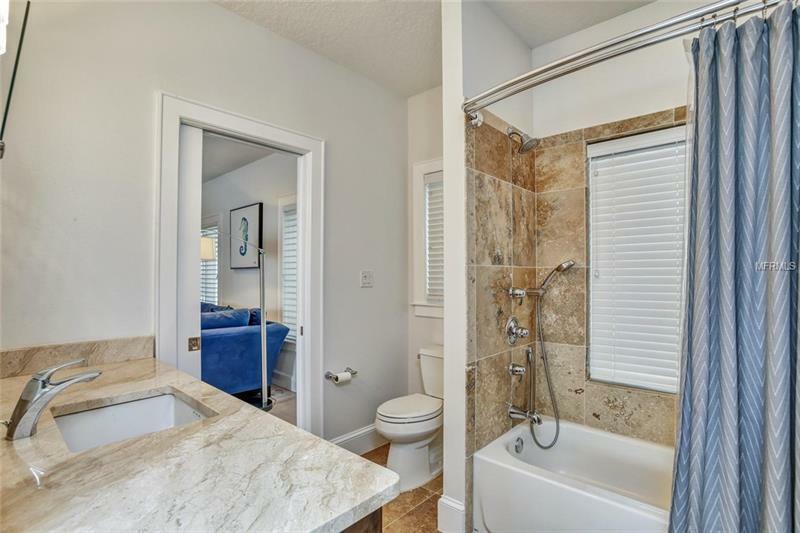 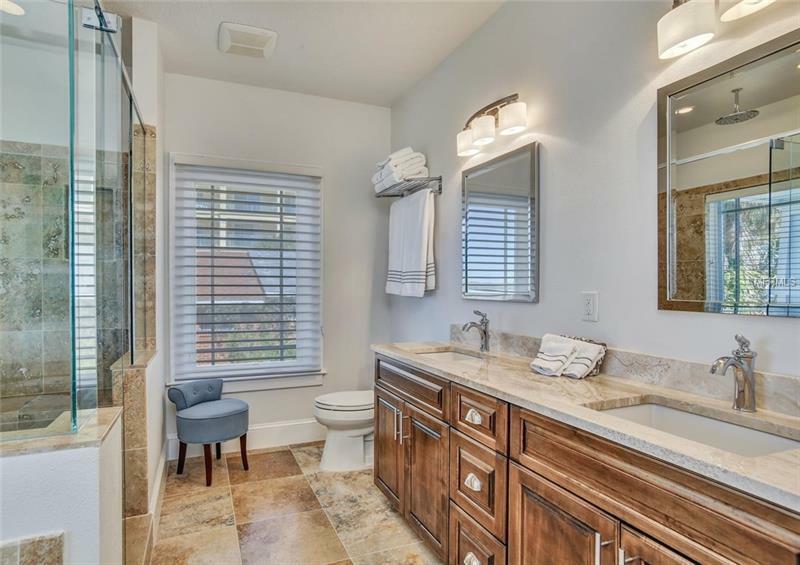 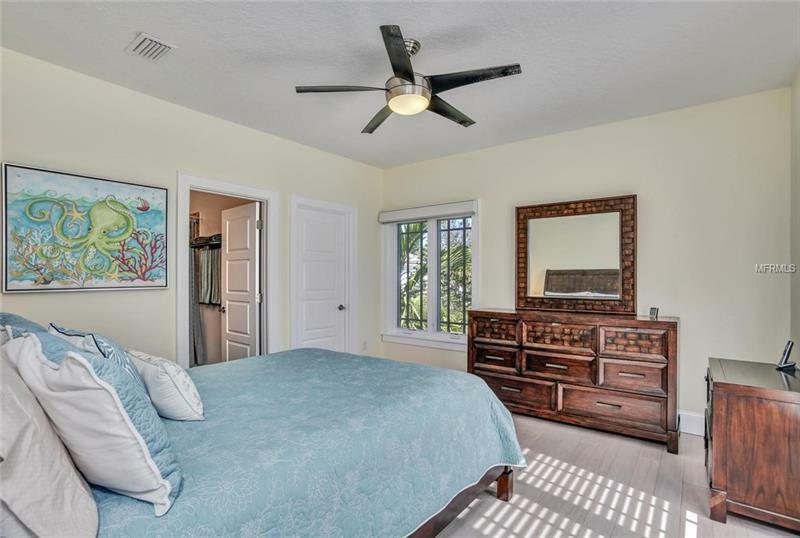 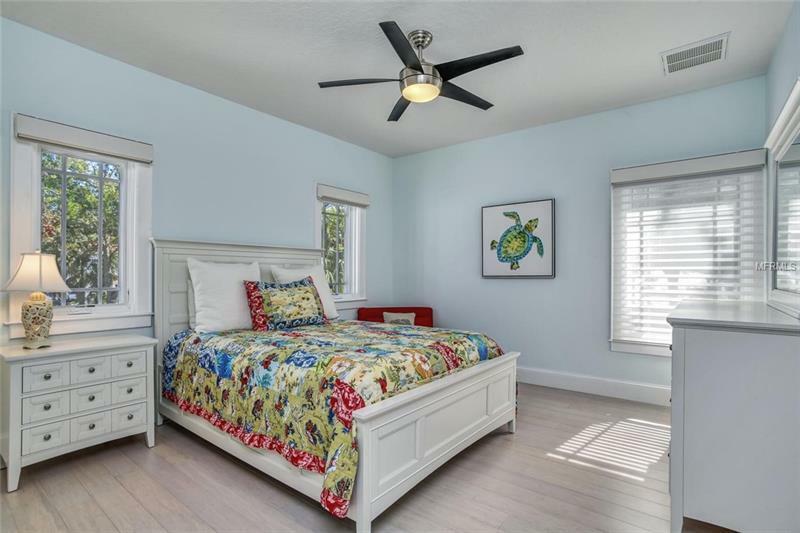 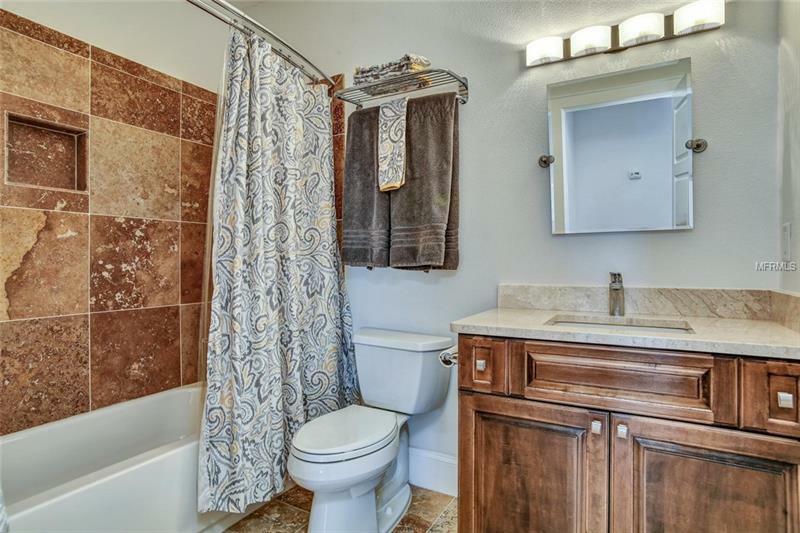 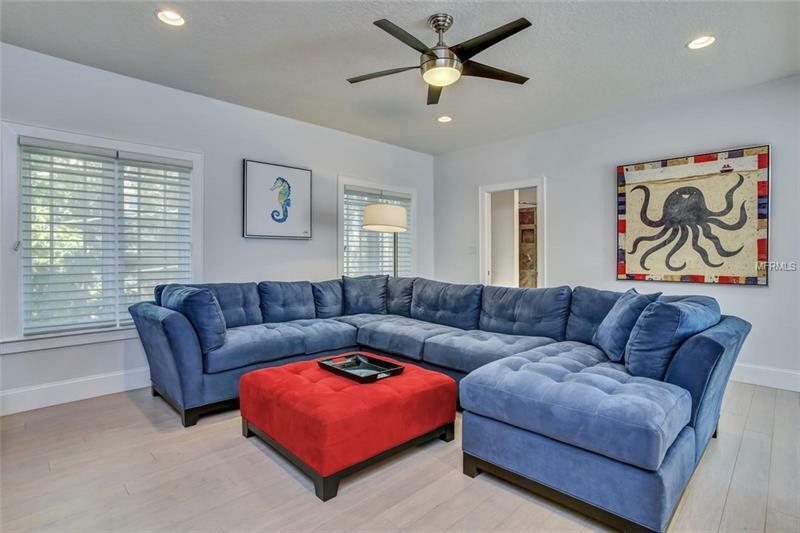 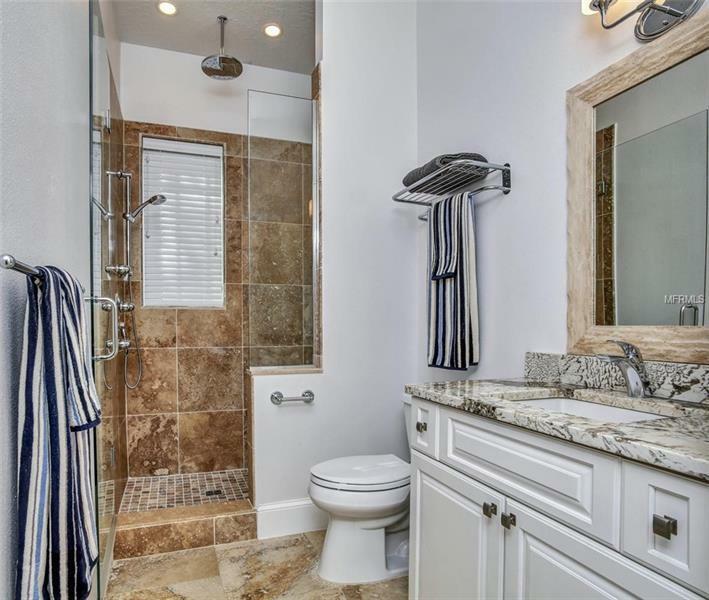 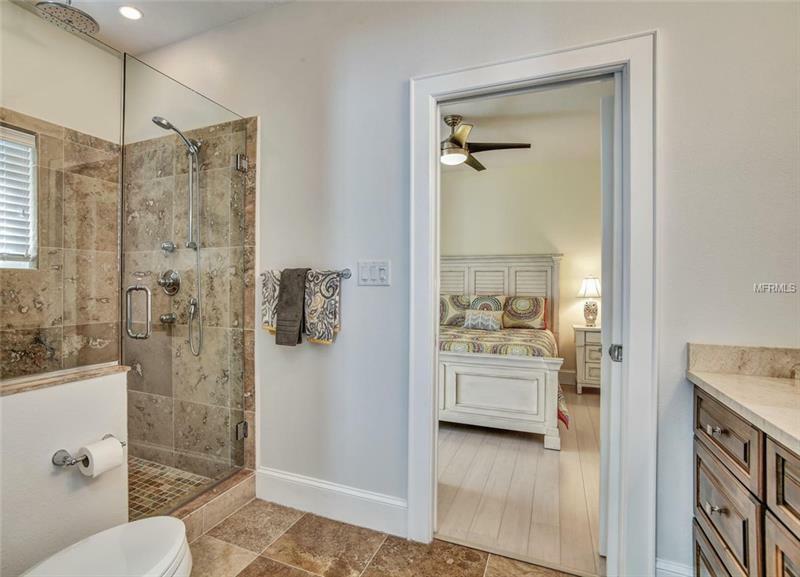 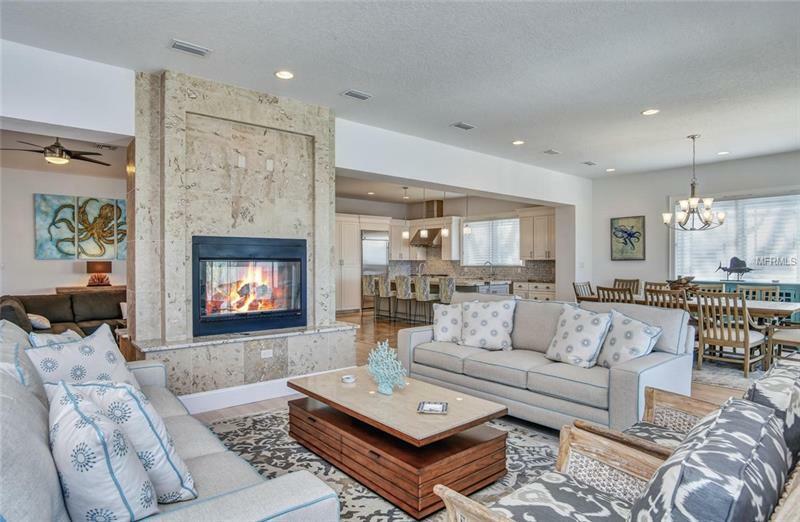 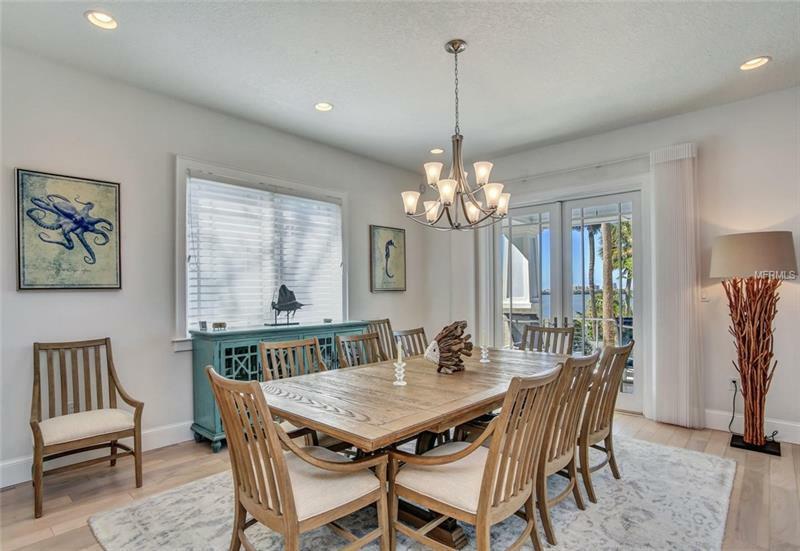 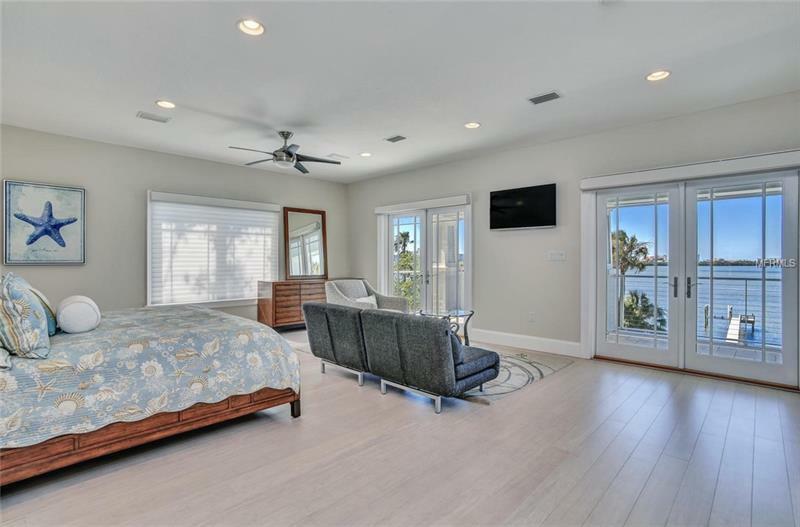 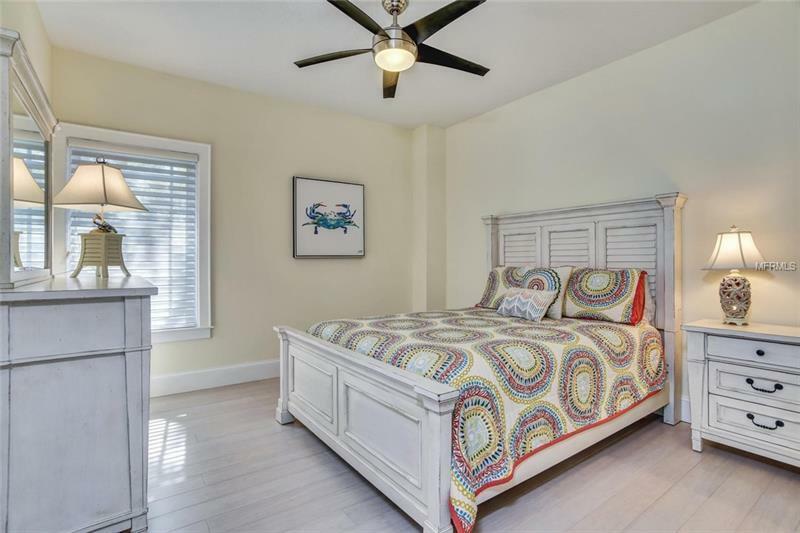 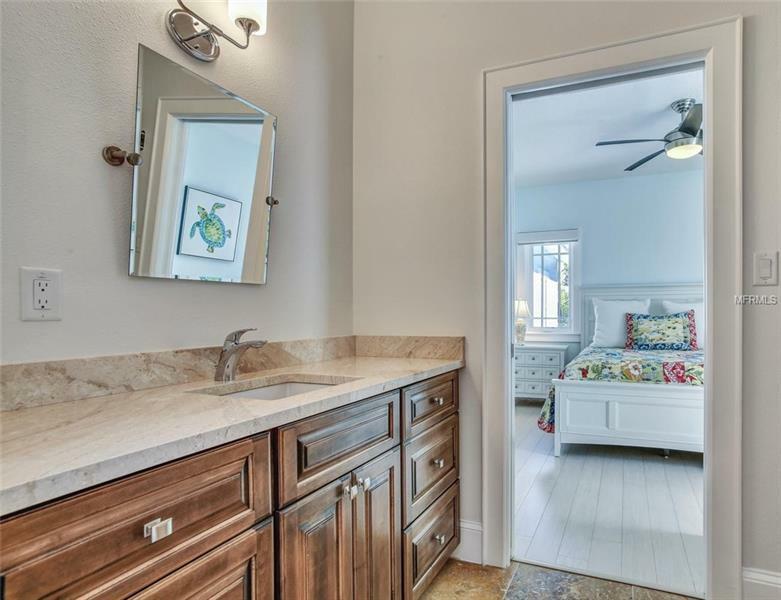 The master suite spans the entire water frontage with wood floors French doors out to a covered balcony travertine-clad bathroom with jetted tub dual sinks & walk-in shower & large walk-in closet. 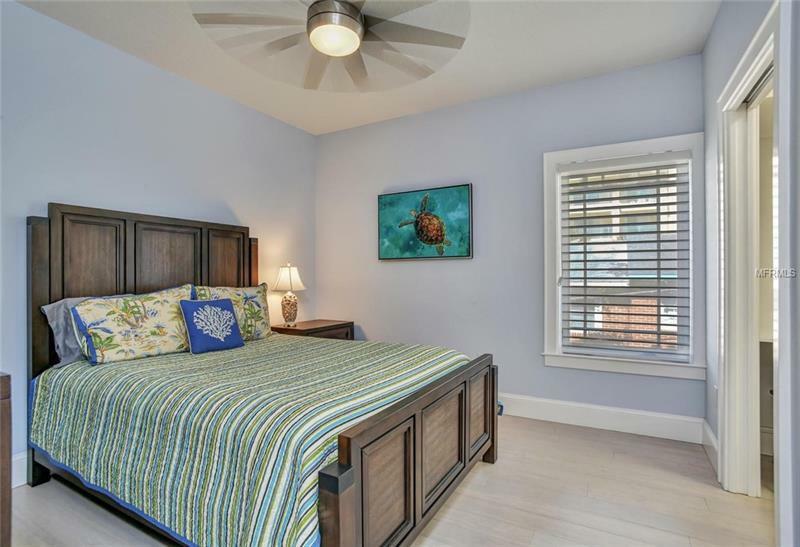 4 spacious guest bedrooms & bathrooms are perfect for family & guests. A media/game room acts as a 2nd floor family gathering room. 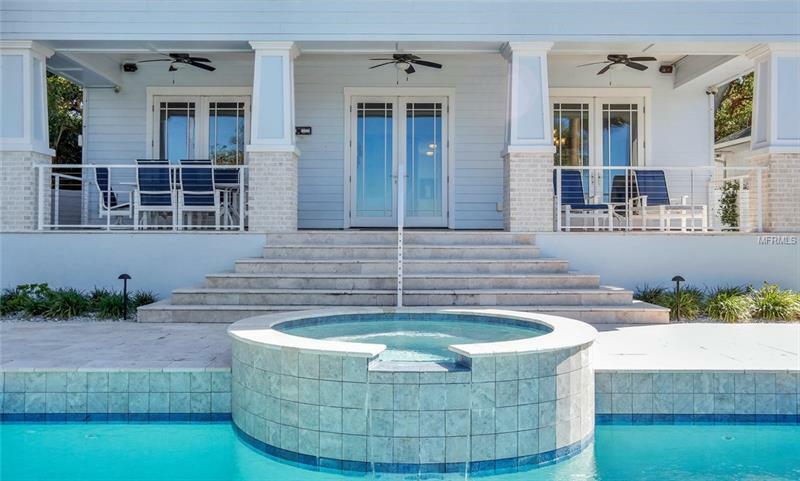 The backyard oasis features a large covered lanai & beautiful heated pool & spa with travertine decking. 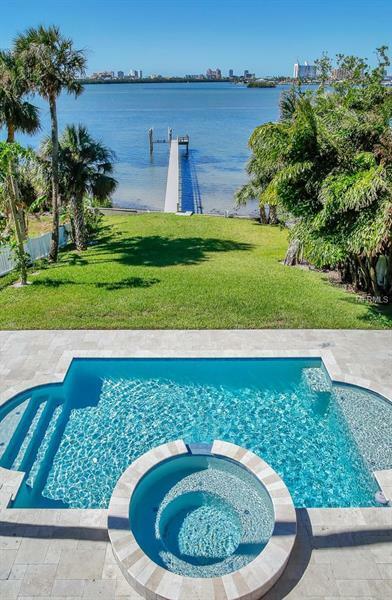 An expansive lawn leads down to the 152â composite dock with boatlift. 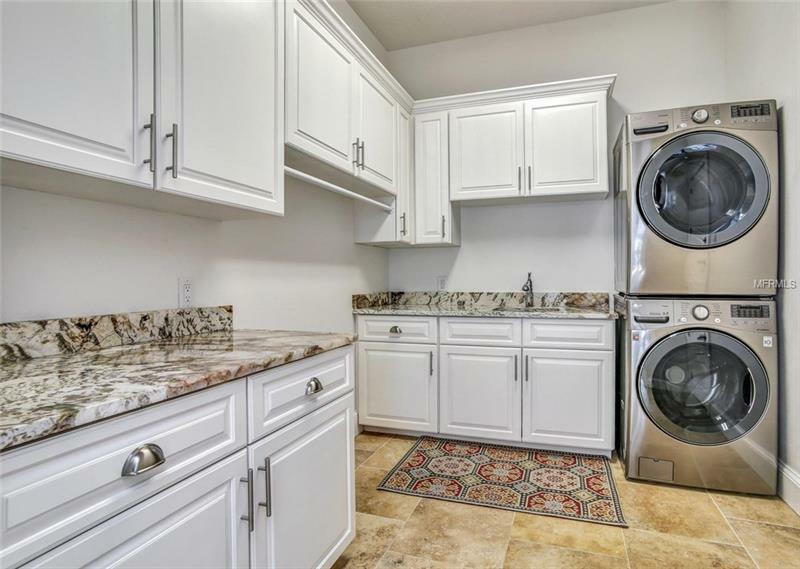 A 2 car garage camera security system & gorgeous laundry room round off the features of this incredible estate. 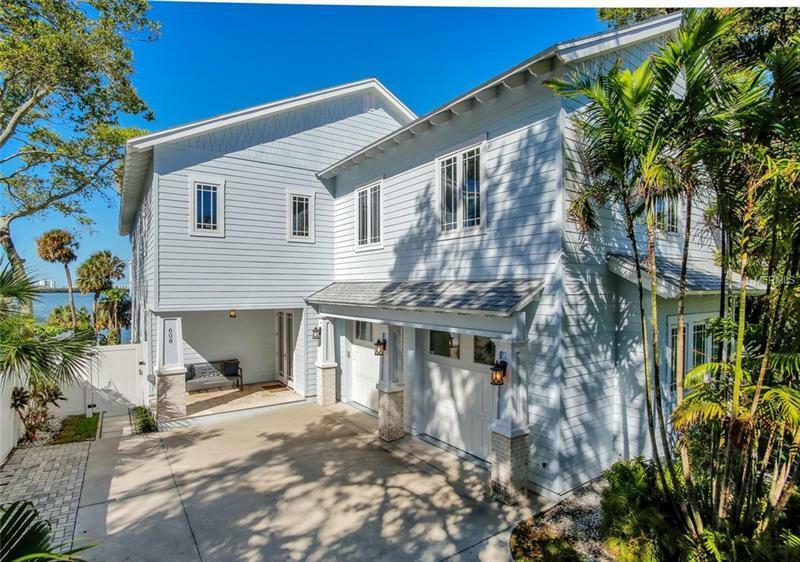 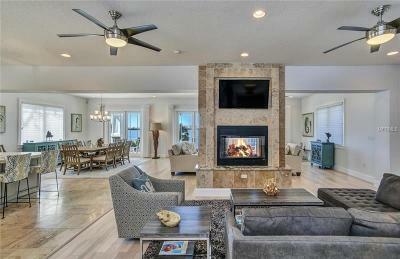 Surpassing the latest hurricane codes & an elevated lot allows this estate to enjoy low insurance costs.